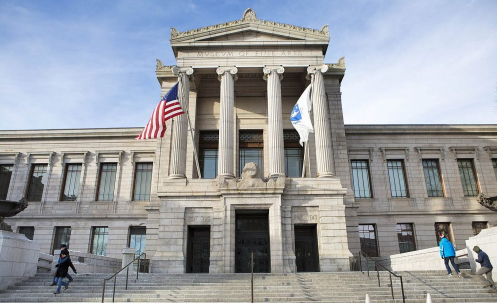 In the course of my practicum at the Museum of Fine Arts, Boston, I aided in research and planning for a reinstallation of a permanent gallery. From my position in the Greek and Roman Art section of the Art of the Ancient World department, my main project focused on planning a new gallery of “early Greek”—post-Bronze Age, pre-Persian Wars—art. My work consisted largely of object-based research, and wider research into framing and scholarly trends. In this work, I (with the curator) thought about balancing familiar—and sometimes outdated—narratives with new scholarship, how to balance the desire for “full coverage” with idiosyncratic collections, what stories to tell, and how to strike a balance between only using ancient objects illustratively and fetishizing them as decontextualized objects. In this presentation, I’ll especially address issues we faced that are common to decision-making for ancient art galleries, particularly regarding narratives—both in the sense of the arguments being made in galleries and the narratives with which visitors enter the galleries.